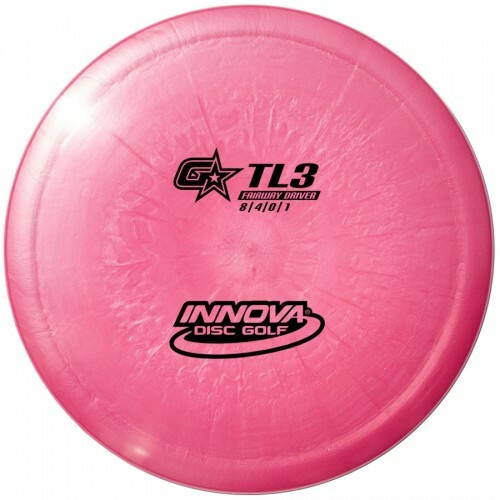 The Innova GStar TL3 is a straight fairway driver and a result of the evolution of the TL. Much like the longer faster TeeBird3, the TL3 has a bit more speed and a little less glide for more control. Think TeeBird control, straighter flight and finish. This disc golf driver is more controllable and a bit faster than the standard TL.